WEIRTON — What is designed initially as a learning opportunity for area students also could develop into economic opportunities for the Ohio Valley. Blue Stream Farms is a project-based learning program, incorporating various aspects of education and aquaponics, in an effort to prepare students for college, careers and later aspects of life. “Schools have tried to do it, but they didn’t understand the sustainability,” Dan Spickard, president of the organization, explained. Aquaponics is a method of food production combining aspects of aquaculture — the domestic breeding and raising of fish — with hydroponics — a method of growing plants without soil. Blue Stream Farms hopes to bring these methods to schools as a learning platform, building in lessons in science, technology, writing, engineering, arts and math. The concepts and lessons eventually will be applied to operate a commercially viable business. 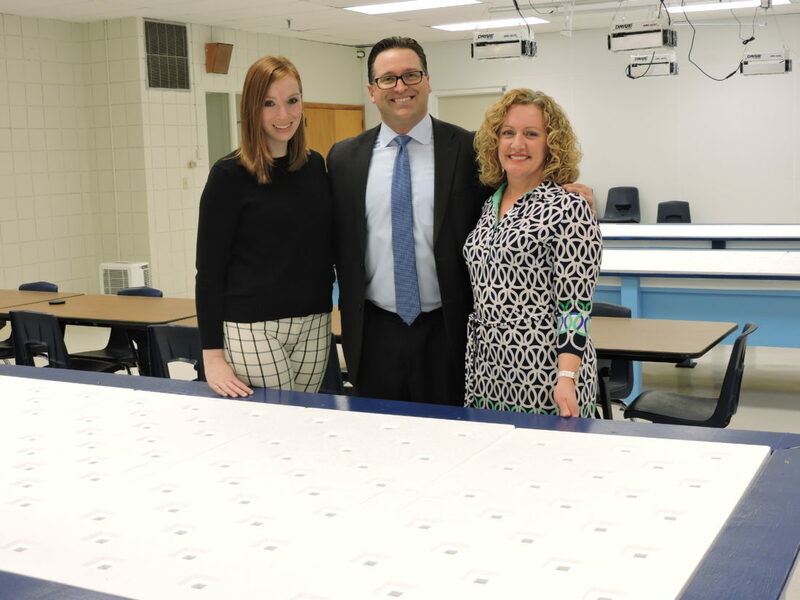 Building a learning lab in Weirton earlier this year, the group is working to establish working relationships with schools before fully launching the program in 2019. Doug Velegol, of Mylan Inc., who is among the advisors for the program, noted the plan is to reach out to schools throughout the Tri-State Area. The aim, as the program grows, is to eventually have platforms available for use by more than 100,000 students at more than 130 high schools in the Tri-State Area. As part of any project, students will work with a teacher from their school, a subject-matter expert and representatives from participating universities. The initial system in the Weirton learning lab will include two 400-gallon tanks for raising tilapia, along with four 4-feet-by-12-feet grow beds. Through the learning process, participating students will be able to monitor the projects, both in person and through the internet, and experiment with growing techniques. Spickard said the group also plans to work with local chapters of Master Gardeners and Future Farmers of America to help oversee the efforts in the lab. Eventually, they would like to market and sell the fish and vegetables to restaurants, beginning in the Weirton area and working outward. Efforts to launch Blue Stream Farms began in November 2015, with those involved seeking start-up funds, which have included a contribution from Assure America and a $20,000 grant from the West Virginia Association of Conservation Districts. Since then, cooperation also has been obtained from the Claude Worthington Benedum Foundation, West Liberty University, Carnegie Mellon Univerisity, the Create Lab Satellite Network and several other local businesses and organizations. Additional information about the program can be found online at www.bluestreamfarms.com.